Soak all dal for 1 hour, and presser cook with 1 and 1/2 cup of water for 4 to 5 whistle or till dal done. Heat oil in kadai, add mustard seeds, let them splutter. Add curry leaves, hing, turmeric powder, red chilly powder, add cooked dal immediately, and mix well. 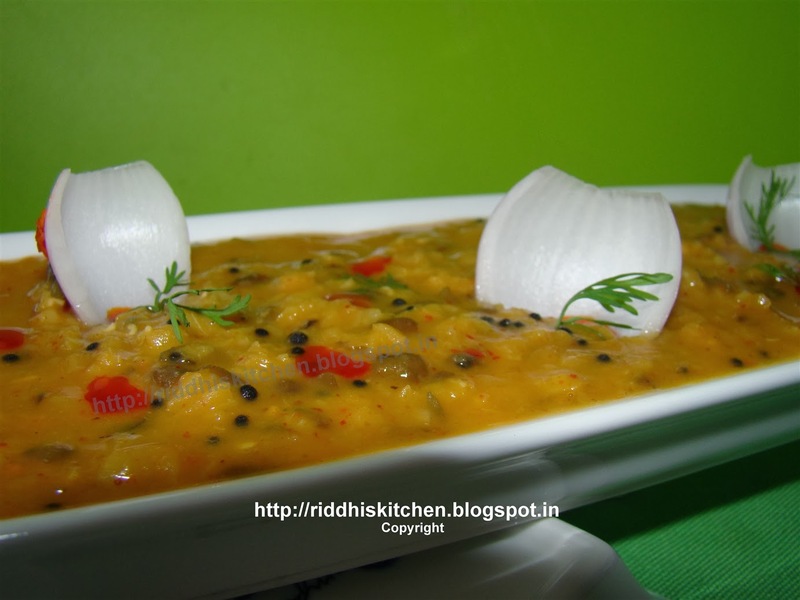 If required add water to adjust dal consistency. Add salt and cook for 3 to 4 minutes. Garnish with onions and coriander leaves, serve hot.